STARKVILLE, Miss. — She was a cheerleader, an honor student, the daughter of a police officer and a member of the high school homecoming court who wanted to be a doctor. He was a quiet but easygoing psychology student. His father is a well-known Muslim patriarch here, whose personable air and habit of sharing food with friends and strangers made him seem like a walking advertisement for Islam as a religion of tolerance and peace. 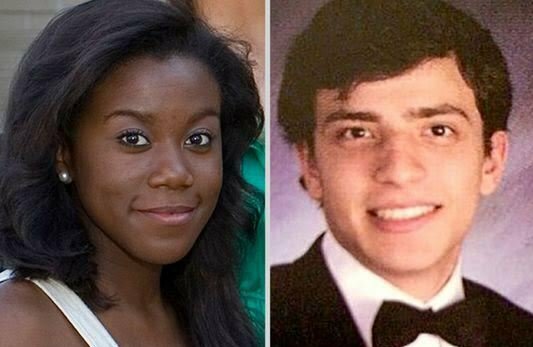 Today, the young woman, Jaelyn Young, 19, and the young man, her fiancé, Muhammad Dakhlalla, 22, are in federal custody, arrested on suspicion of trying to travel from Mississippi to Syria to join the Islamic State. Friends and strangers alike said it was difficult to imagine two less likely candidates for the growing roster of young, aspiring American jihadists. Mr. Dakhlalla’s relatives were as shocked as anyone when he and Ms. Young were arrested last weekend on their way to a small regional airport, where they had intended to catch the first in a series of flights that would eventually put them in Istanbul. The only plans the family knew of, said Dennis Harmon, a lawyer and friend of Mr. Dakhlalla’s parents, were that he would attend graduate school in the fall here at Mississippi State University. Ms. Young, who three years ago was broadcasting silly jokes on Twitter and singing the praises of the R&B singer Miguel, had more recently professed a desire to join the Islamic State, according to an F.B.I. agent’s affidavit in support of a criminal complaint. On July 17, the day after a young Muslim man in Chattanooga, Tenn., fatally shot five United States servicemen, Ms. Young rejoiced, the affidavit alleges, in an online message to an F.B.I. agent posing as a supporter of the Islamic State. Though a number of young Muslims in the United States have been seduced in recent months by the Islamic State, the fact that it has resonated as far as Starkville has set off an understandable wave of distress here — a feeling that the struggle and terror in foreign deserts are not as far from the American heartland as they might have seemed. Starkville, which calls itself “Mississippi’s college town,” tends to dent the national consciousness only when Mississippi State’s football team is winning. Both of the suspects attended Mississippi State: Mr. Dakhlalla graduated in May with a psychology degree and had been accepted to graduate school for the fall; Ms. Young hoped to become a doctor and held a research job in a chemistry lab on campus. And so, in addition to expressing fear and anger, many here were simply baffled by what had gone wrong with this handsome young couple who seemed to be on their way to sharing a 21st-century Mississippi success story. Mr. Dakhlalla’s father, Oda Dakhlalla, arrived in Mississippi decades ago and studied civil engineering at the University of Mississippi, said Mr. Harmon, the lawyer and family friend. Mr. Dakhlalla’s wife, Lisa, is from New Jersey and is a Muslim convert, Mr. Harmon said. They raised three sons in Starkville, were deeply ingrained in the life of the town and were hard to miss. Oda Dakhlalla dresses in a traditional gown, and his reputation as a miracle-working math tutor earned him, among students, the nickname “Yoda.” Ms. Dakhlalla was known as “the hummus lady” for the Mediterranean specialties she sold at the local farmers’ market. From 2005 to 2009, the family operated Shaherazad’s, a Middle Eastern cafe. Ms. Dakhlalla has said they got out of the business because she was having health problems. Mr. Harmon said that their generosity may have gotten the better of them. There was no question that the family had embraced the strategy, common in both the Middle East and the American South, of fellowship through food. Mayor Parker Wiseman said the elder Mr. Dakhlalla often came around City Hall with lunches for workers. Mr. Crews, the neighbor, said he had a leg of lamb that Mr. Dakhlalla had given him in his freezer. Though he was not the imam of the local mosque, the Islamic Center of Mississippi, Oda Dakhlalla lived across the street from it, sometimes delivered the Friday sermon and often invited neighbors like Mr. Crews to services. Muhammad Dakhlalla, the youngest of the couple’s three sons, goes by “Mo.” He worked at the restaurant, earned black belts in taekwondo and judo at a martial arts school, and attended Starkville High School. R. J. Morgan, a former teacher, said Mr. Dakhlalla was bright, courteous and popular, and mixed easily with non-Muslim students. When his world history class took a month to explore the Israeli-Palestinian crisis in depth, Mr. Morgan said, Mr. Dakhlalla, then a 10th grader, spoke in favor of Palestinian rights. “But in no way, in no way, did Muhammad have extreme views on the plight of the Palestinian people,” he said. Mr. Dakhlalla met Ms. Young about a year ago, Mr. Harmon said. She had graduated near the top of her class at Warren Central High School, where she had been a member of the homecoming court. Marneicha Wilson, 19, an old friend, said Ms. Young had been raised in a Christian household and attended church, but had not been particularly zealous. Ms. Treloar said Ms. Young had converted to Islam in April after being introduced to the religion by college friends. She recalled that Ms. Young was drawn to the Quran’s teachings because she believed it had been unchanged since it was first written. She thought the Bible, by contrast, had been translated so much that its original meaning was lost, Ms. Treloar said. Ms. Young believed that Muslims and groups like the Islamic State had been unfairly caricatured in the West, Ms. Treloar said. But she saw no signs that Ms. Young would try to join the extremists. Ms. Young’s last Facebook post, on March 17, was a jokey altered photo, a pop-culture riff involving Whoopi Goldberg, the Star Wars character Jar Jar Binks, and the rapper 2 Chainz. Two months later, the affidavit says, an F.B.I. employee identified her “through social media platforms” as a supporter of the Islamic State, also known as ISIS or ISIL. Ms. Young said they would leave under the pretense of being “newlyweds on our honeymoon.” On June 6, the couple performed an Islamic marriage ceremony. Mr. Harmon said that for the marriage to be valid under Islamic law, Ms. Young’s father was required to sign a contract. But the father, a police officer who friends say served in the United States military in Afghanistan, refused to do so. After their arrest, the affidavit states, the couple confessed that they were on their way to join the Islamic State. On Tuesday, a federal magistrate in Oxford, Miss., ordered them held without bail, citing their methodical planning. They each face up to 20 years in prison on the charge of attempting and conspiring to knowingly provide material support and resources to a foreign terrorist organization.